Ціль: надання інституціональної підтримки національним та регіональним організаціям, мережам та коаліціям, які сприяють розвитку демократичних реформ залучення їх цільових груп. Крайній термін прийому заявок: 6 березня, 2017; 17:00. (Надалі англійською мовою). This Request for Applications (RFA) is part of the USAID/ENGAGE Activity to Enhance Non-Governmental Actors and Grassroots Engagement. The purpose of USAID/ENGAGE is to increase citizen awareness of and engagement in civic activities at the national, subnational and local level. The vibrancy of Ukrainian civil society organizations (CSOs) is often cited as a defining strength in Ukraine’s democracy, one that markedly distinguishes Ukraine from other post-Soviet countries. By providing institutional grants to competitively selected institutions, Pact aims to support existing or emerging CSO leaders with the capacity to expand citizen engagement in promoting the reform agenda in Ukraine. 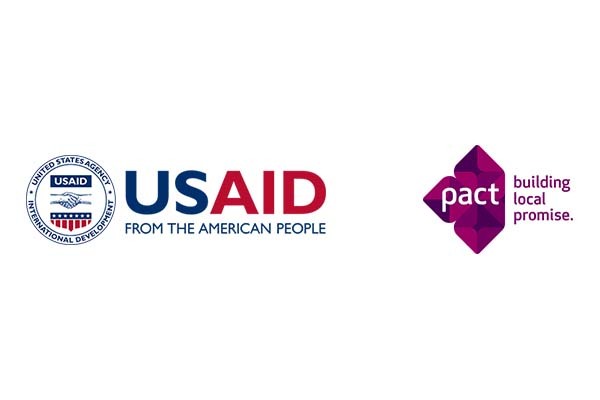 Pact will focus on providing support to national and subnational level conveners for constituency engagement, outreach to local and subnational counterparts, network/coalition expansion, and gender- and inclusion-sensitive programming. These grants will serve as a multiyear investment into the development of recipient organizations. The goal of this RFA is to provide institutional core-support to national and subnational organizations, networks and coalitions promoting key democratic reforms to enhance their constituency engagement, outreach to local and subnational counterparts and network/coalition expansion. Support national and subnational organizations, networks and coalitions in gender- and inclusion-sensitive programming. ENGAGE primarily focuses on key democratic reforms and cross- cutting themes, such as; anti-corruption; decentralization; government transparency and accountability (including during electoral processes); inclusive development (of persons with disabilities, internally displaced persons (IDPs), lesbian, gay, bi-sexual, transgender and intersex (LGBTI) and other vulnerable groups; youth; and EU integration. Mobilizing activists for constituency engagement in promoting anti-corruption reforms; gender equality; and/or the rights of LGBTI persons, persons with disabilities, internally displaced persons and other vulnerable groups. Capacity of recipient CSOs has been strengthened, to lead and expand networks and coalitions. Strong organizational structure and operational capacity, demonstrated by a strategic development plan, annual budget, internal policies, fundraising experience, transparent and functioning governing structure, office premises, permanent staff, proven positive financial history and proven absorbing capacity. Ability to achieve sustainable results that will last beyond the project period. Tentative duration of grants: up to 36 months. Grant amount: Pact plans to support up to 7 applications in an amount not exceeding $300,000 each. The total pool for this RFA is up to $2,100,000. Eligible applications will be recommended for full review by an independent Selection Board, which will recommend fifteen (15) shortlisted applications. Shortlisted applicant organizations will measure their Organizational Performance Index (OPI) with the assistance of external experts. This process will be supported and coordinated by Pact. Successful applicants will then be requested to develop and submit additionally detailed capacity development plans based on OPI results. Successful applicants will also be requested to submit full project budgets with expected funding from Pact. Shortlisted applicants will be required to develop a 90-second video detailing the problem(s) the organization addresses, its meaningful impact to be achieved, and how success will be measured by the organization. These videos will be evaluated by citizens through online voting. Upon results of the online voting and the OPI process, the Selection Board will recommend up to seven (7) finalist organizations for funding. As part of this competition, Pact cannot award grants to business organizations, political parties, government institutions, religious organizations or individuals. Applicants will be notified of the status of their application in writing by e-mail. Decisions of the Selection Board are final and cannot be subject to reconsideration. Submitted Letters of Interest cannot be returned or reviewed. Questions regarding this RFA may be sent to [email protected] no later February 20, 17:00, indicating clearly the title of the Request for Applications. Pact has no obligation to provide clarifications to questions received after this date. Replies will be provided by February 23, 18:00. To ensure fairness and transparency of the application process, Pact cannot give a prior opinion on the eligibility of applicants, actions or specific activities. No individual replies will be given to questions. All questions and answers as well as other important notices to applicants during the course of the evaluation procedure will be sent to all applicants who submitted their questions, as appropriate.